Amid mounting tensions surrounding US automaker General Motors’ move to separate GM Korea’s research and development center as an independent body, conflict at the local unit is expected to deepen with the union, which is slated to hold a vote on staging a strike over the move. The issue also took center stage at Wednesday’s parliamentary inspection where politicians grilled related government officials and the carmaker. 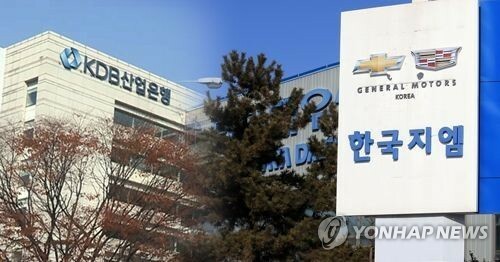 As GM Korea pushes forward its R&D center separation plan that has been in the works since July, the union will hold a vote early next week on whether to stage a strike, on the belief the carmaker would eventually withdraw production operations after making the R&D entity independent. Rep. Jung Yoo-seob of the Liberty Korea Party on the Trade, Industry, Energy, SMEs and Startups Committee, took the side of the union, arguing the spinoff violates a memorandum of understanding signed with the government in late May. “GM first brought up the establishment of a separate R&D body toward the end of negotiations with Korea Development Bank in April. This (separation) was not part of GM’s business normalization plan and was not included in the final deal. But GM has been pushing forward with setting up a R&D body since July,” Jung said. In the memorandum signed after the government and carmaker agreed on a rescue plan of 7.15 billion won ($6.3 million), GM said it would establish its Asia-Pacific regional headquarters here and manufacture auto parts at the R&D and technology centers in Korea to show its long-term commitment. Jung and Cho Bae-sook of the Party for Democracy and Peace said they will summon GM Korea CEO Kaher Kazem for the upcoming inspection on Oct. 29. Kazem did not attend the inspection by the National Assembly’s Trade, Industry, Energy, SMEs and Startups Committee on grounds his appearance could influence the company’s general shareholders meeting next week where the spinoff will be put to a vote. To block the shareholders meeting, the state-run Korea Development Bank filed an injunction earlier this week following the GM board members’ approval of the company’s plans to establish a R&D corporate body last week, KDB said. KDB is GM Korea’s second-biggest shareholder with 17.02 percent of shares. “A separate R&D body is aimed at improving efficiency and widening opportunities for more projects. It is irrelevant to a pullout,” commented GM Korea. A leader for the new R&D body with five divisions and some 4,100 employees will be tapped next month.